Sometimes in life we are blessed with Luck and Good Fortune. Sometimes it’s just a random act of kindness or ongoing thing we do not always notice. Whatever it may be it is always good to express gratitude and what’s better way then through art. 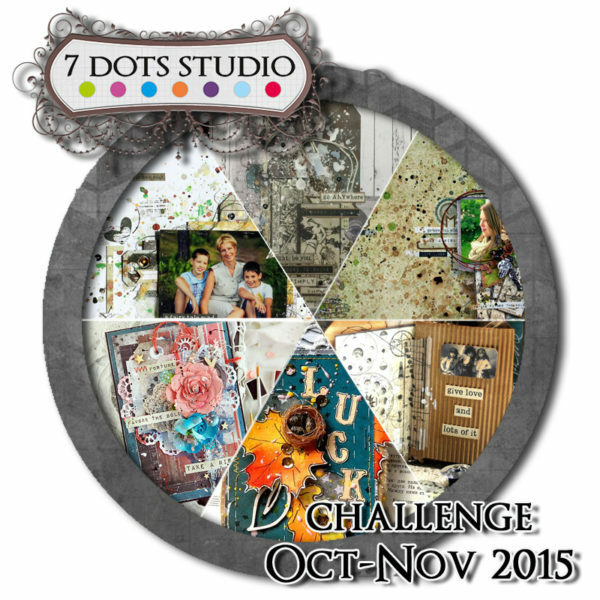 So this month we encourage you to create projects about Fortunate and Lucky Things. 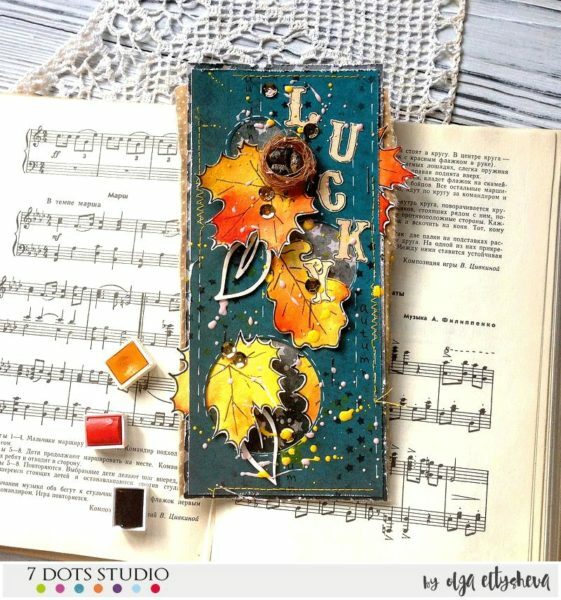 I made a little mini book of luck and good fortune. I believe that fortune favors the bold and this little mini book I can carry with me in my handbag to remind me to be bold and brave and try new things and then in turn fortune will favor me. 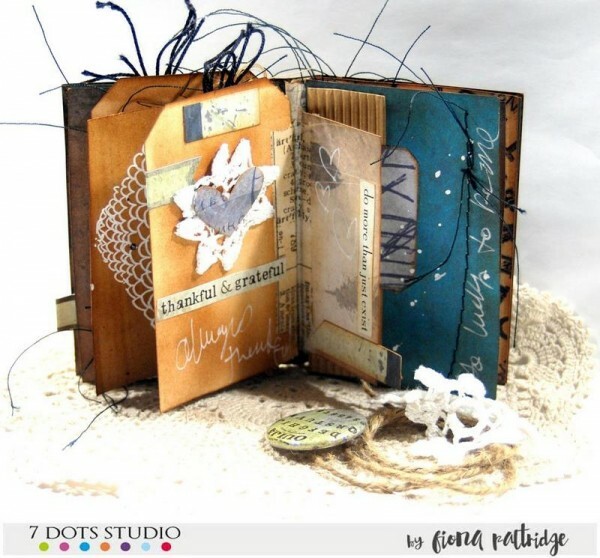 I especially love how the “Fortune-teller” papers have the appearance of leather. 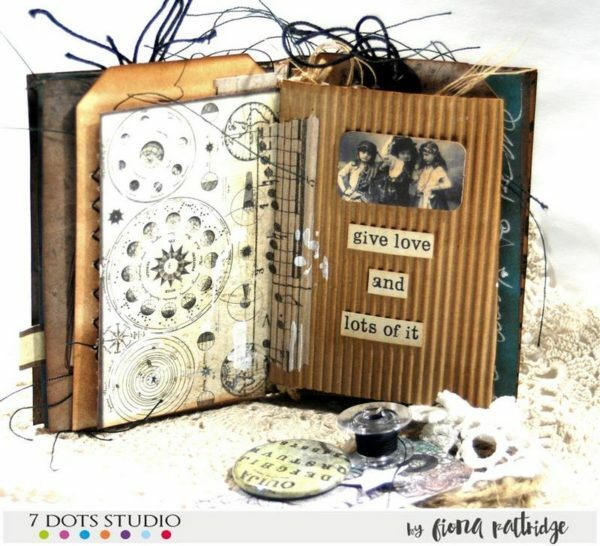 This, combined with some Vintage Photo Distress ink and some stitching makes the little book look so authentic. 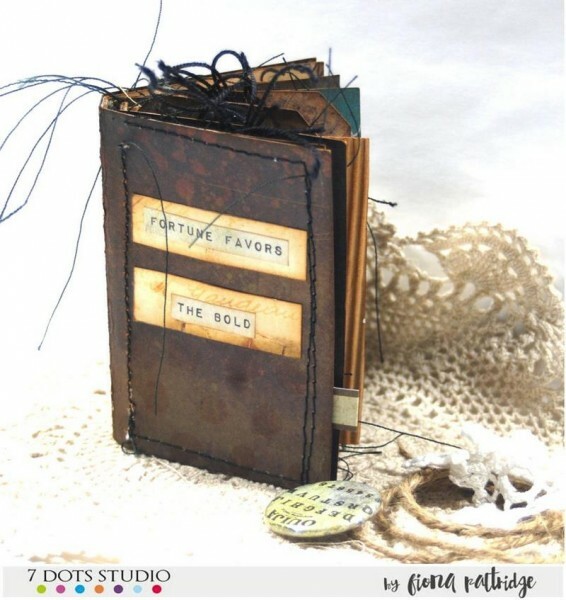 The little book is full of inspiration from the 6×12 word stickers to remind me to be bold and brave. I made the card with quote: «Fortune favors the bold. Take a risk». I believe that the fate is supportive us. But we definitely need to dream, to act and to take risks. Fortune must have the chance to give us what we want! 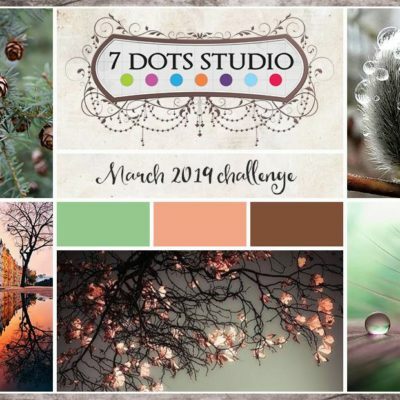 Our challenge this month is “Good fortune and luck”. When I think about my boys, I know I am blessed. I am lucky that I can be a mom of those two fantastic young men! 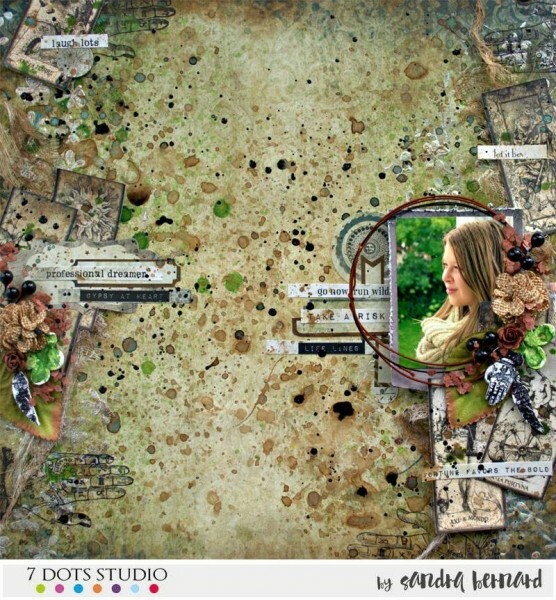 I made my layout using our newest, amazing collection “Writers block”. 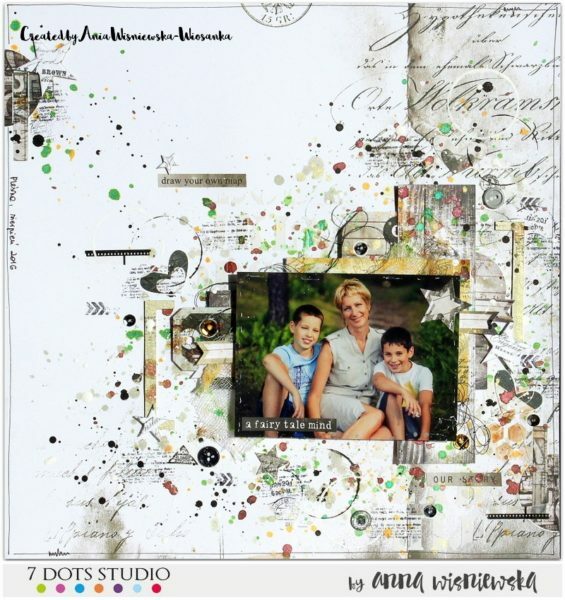 In this creation I had fun with layers paper and splashes. I love this. I like the mixture of paper and media. 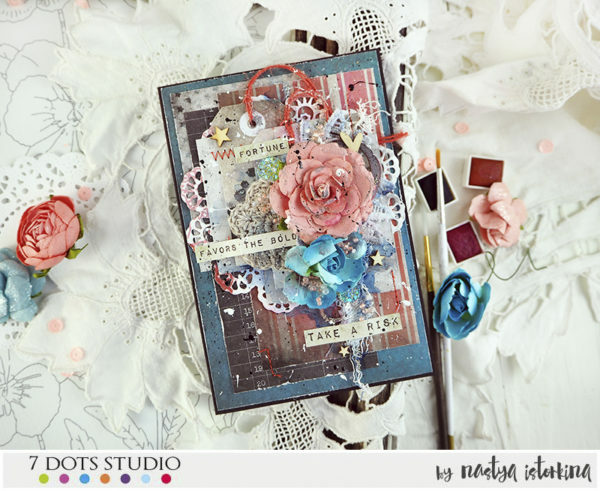 Fortune Teller collection marries wonderfully with this tag. Of course we can find the theme of the challenge in this creation. I thus wish you a good visualization. Good Fortune and Luck made me think of weddings. I decided to make a layout with my favorite picture from a wedding I was invited to photograph this summer. 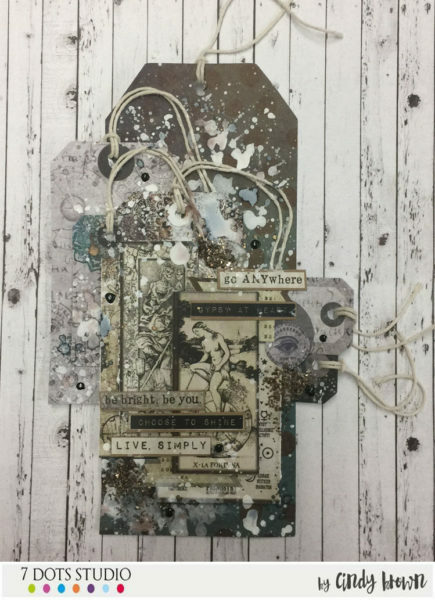 I decided to work with the Homegrown Collection because I think the grungy & dreamy feeling in it fit perfect for a couple that are more Heavy Metal than Mozart (if you know how I mean). Fortune Teller, My collection of choice for the current challenge. I played with the cards of tarots cut out from one of the papers. I also enjoyed creating some ornaments by myself, especially schrink-plastic embellishment with a hand from the Fortune-teller stamp set. 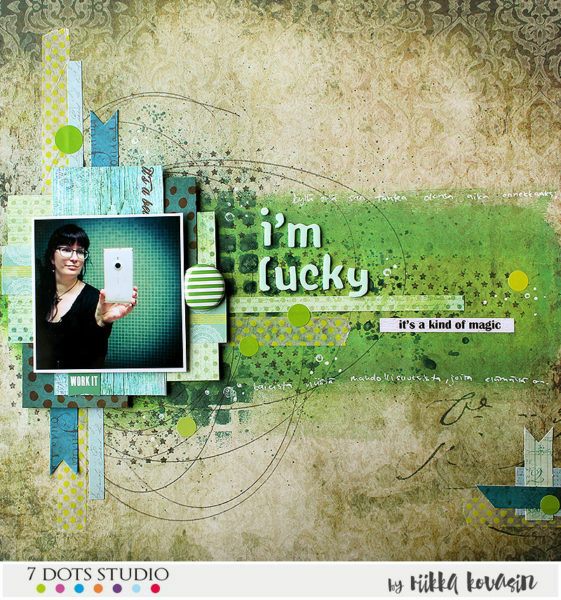 Which just goes to show that we can find everything in one and the same collection of 7dots products. The theme got me thinking how fortunate I am. I have a supporting family and great friends, lovely hobby and warm home. As there (seems to be/(is) more and more chaos in the world, it’s important to look back and see all the good things there are. I’m also extremely fortunate and lucky to have all these wonderful design opportunities in my life! One can’t be nothing more than grateful! We announce winners by the end of the November. 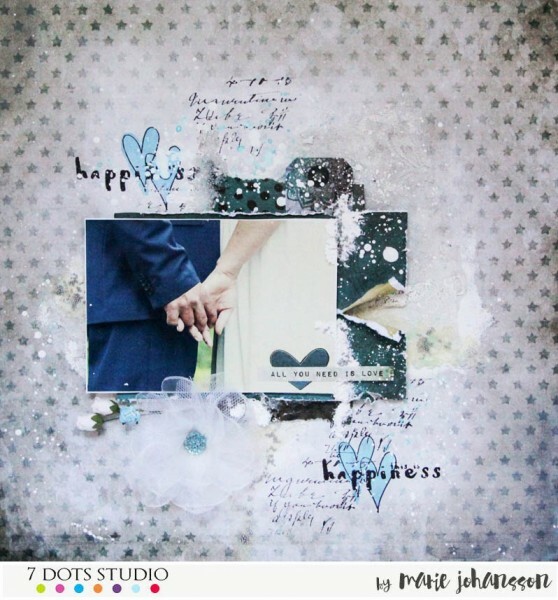 One lucky person will win one NEW Collection Kit and one NEW 6×6 pad!